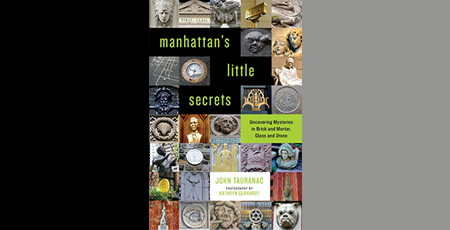 John Tauranac—urban historian, cartographer, and knower of all things NYC—has decided to share some of his most interesting city nuggets in the new book Manhattan's Little Secrets: Uncovering Mysteries in Brick and Mortar, Glass and Stone, out August 15. 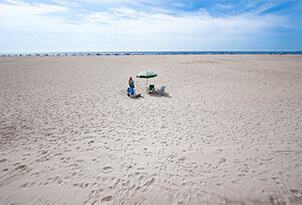 Photographs are by Kathryn Gerhardt. Within, answers to these questions, and much more. What stones from Joan of Arc's dungeon are doing now. Why Brooklyn Bridge is depicted collapsing on a cathedral wall. What the original City Hall station has to do with J. K. Rowling. Why is there a clock in the sidewalk? What's the story with that late-night party held atop the Washington Square Arch in 1917 when they declared the Free and Sovereign Republic of Greenwich Village? The eyes may be a window to the soul but can a stained-glass window shine light on an architect's frustrations? Why, oh why, must West 4th Street and West 10th Street intersect?—a logic fallacy that as a New Yorker, you must learn to accept and move on.